Owen/Cox Dance has been invited to be the Resident Company of the Great Friends Dance Festival 2016, hosted by Island Moving Company in Newport, RI on July 13-23, 2016. Proceeds from this fundraiser will support our participation in this festival! 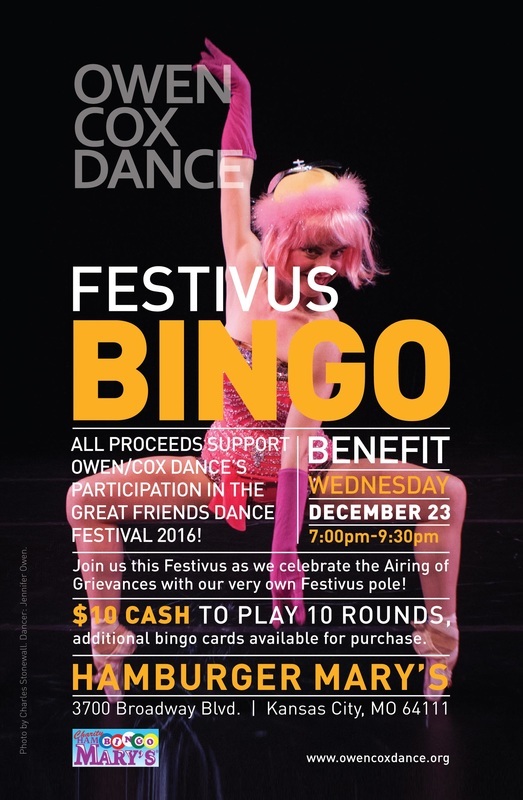 Join us this Festivus as we celebrate the Airing of Grievances with our very own Festivus pole! $10 cash to play 10 rounds of bingo, additional bingo cards available for purchase. Not sure what Festivus is? Read about the Seinfeld episode that popularized this holiday!